Hi there! 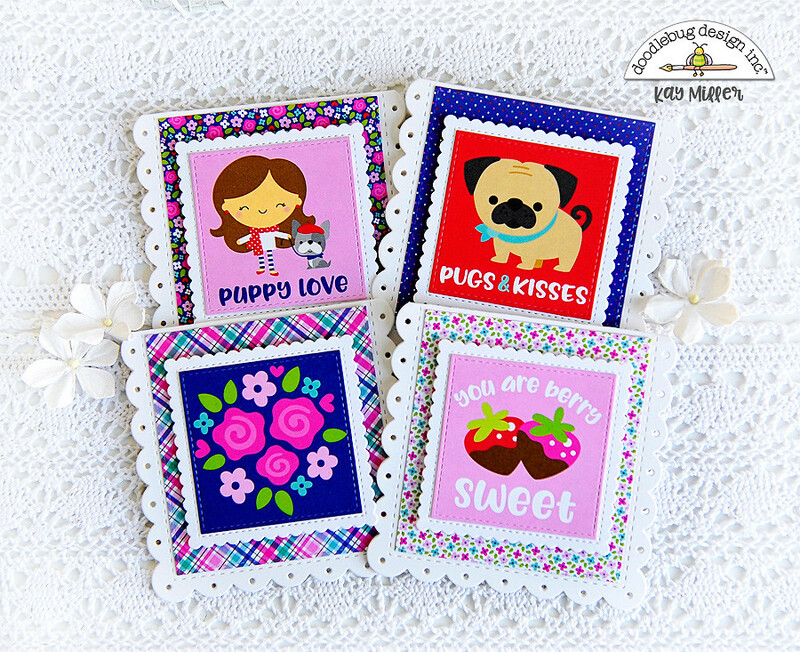 I have a fun set of cards I created with the new French Kiss Collection from Doodlebug Designs! 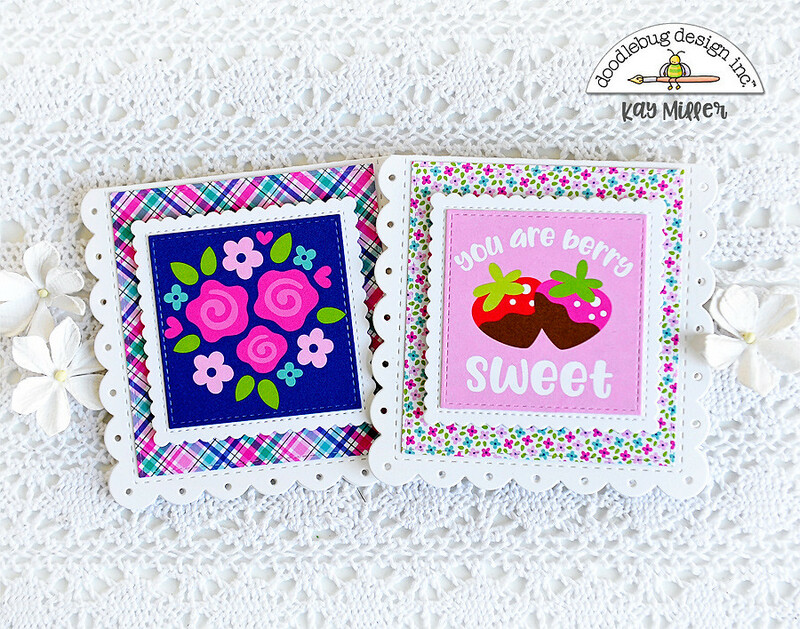 Although the kids are pretty much grown, and I am no longer scrapbooking, I do still love patterned paper, and all the fun scrapbooking embellishments. 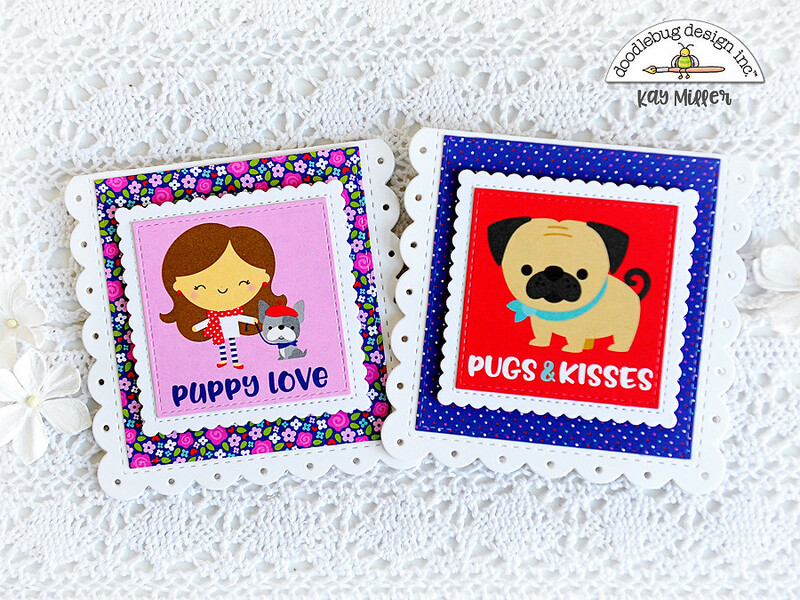 They are perfect for creating quick and super cute cards! 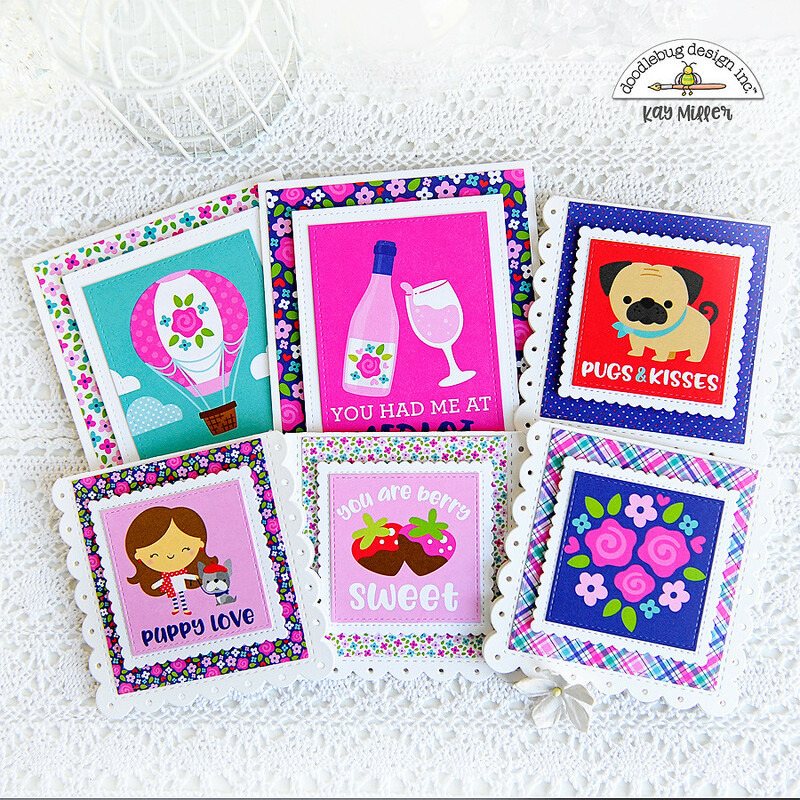 I used the French Kiss 12 x 12 and 6 x 6 paper pads for these cards. I created two 5 1/2 x 4 1/4, and four smaller 3 3/4 x 4 3/4 ones. These are the two larger ones, and for these I used the sheet of 3 x 4 cards. I cut them apart and then cut them out with a stitched rectangle die. 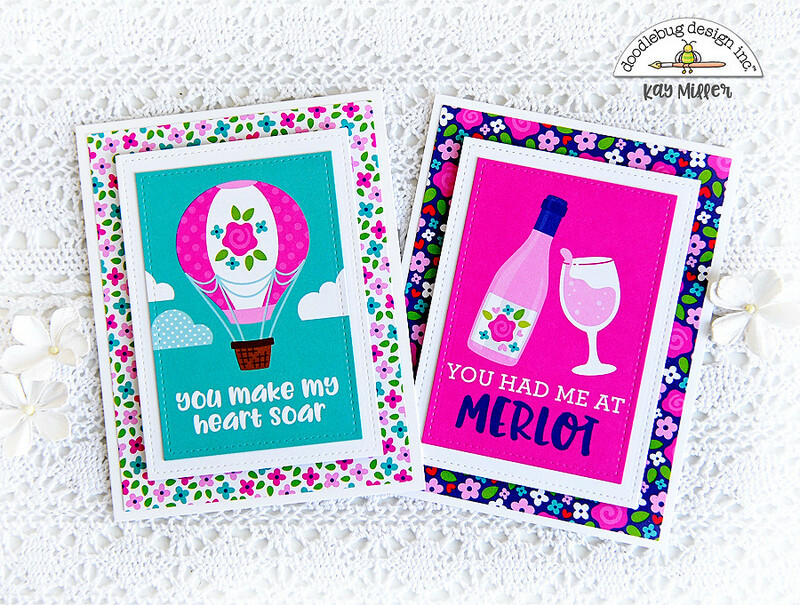 I layered these on another piece of white card stock cut out with the stitched rectangle die, and then onto a card base covered with some of the patterned papers. These are the four smaller ones each measuring 3 3/4 x 3 3/4 inches. I used the smaller cards that measure 2 1/4 x 2 1/4. I used some scalloped white note cards, cut out some of the patterned papers from the French Kiss 6 x 6 paper pad, and adhered these to the front. I cut out the smaller cards and adhered these to square scalloped white card stock die cuts. I then mounted these onto the card fronts with foam tape for dimension. These are all SO cute, Kay! You did a great job making these delightful cards. I like the scallops and the faux stitiching. :) Happy Friday! These are bright and cheerful Kay, very cute!